Paul Buxton as Director leads Plan2Place Consulting. Paul is an urban planner with over 25 years experience and is a Registered Planner. Paul’s contribution to the planning profession was recognized in 2007 when he became a fellow of the Planning Institute of Australia. His experience spans consultancy, local government and the Victorian government where he has held senior roles shaping activity centre policy and designing and implementing statutory tools within the Victorian planning system. 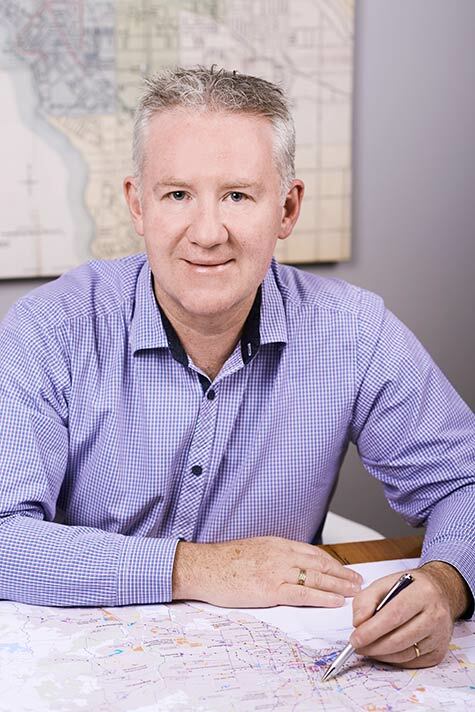 Paul brings a rare set of skills to his clients with a unique ability to develop strategic plans and implement them through the Victorian planning system. His expertise includes integrating planning with place management approaches and non-statutory mechanisms. Plan2Place Consulting provides authoritative, practical and relevant advice from senior staff experienced across the private sector and state and local governments. We have established networks throughout the planning and related sectors that enable us to quickly create agile and relevant teams to support larger projects that deliver results. Plan2Place Consulting is committed to delivering value for money to their clients. As a small firm, we limit our overheads meaning we can provide more in advice and expertise and less in administration and bureaucracy. Plan2Place is also committed to ethical business practices and minimising the impact of the business operations on the environment. We aim to continually improve our practices through the use of technology and contemporary approaches to comprehensively plan and maximise results.